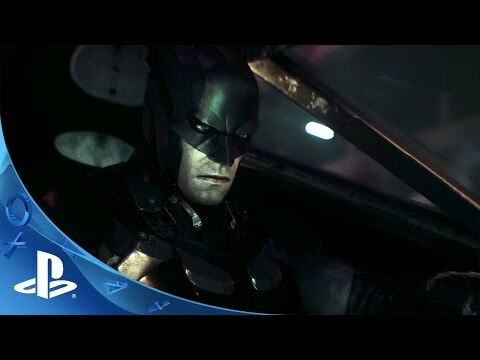 This season pass for Batman: Arkham Knight delivers regular new content for 6 months post-launch, featuring new story missions, more supervillains invading Gotham City, new playable Batmobiles, advanced challenge maps, alternative character skins, and new drivable race tracks. Play as Batman with the Season of Infamy: Most Wanted Expansion, featuring legendary super-villains invadingGotham City. In these story missions, The Dark Knight faces the most dangerous super criminals as chaos continuesto erupt in the streets of Gotham. This pack includes 4 separate missions with all new story arcs featuring Ra’s AlGhul, The Mad Hatter, Killer Croc and Mr. Freeze. Seize control from Gotham City’s most notorious villains with the original Arkham Asylum Batmobile. Get this Crime Fighter Challenge Pack to receive various combat and predator maps featuring Batman, theBatmobile, Nightwing, Azrael, and Harley Quinn. This expansive challenge pack allows focused training in FreeflowCombat and Invisible Predator stealth incursion. Customize the legendary Batmobile with this unique Rocksteady themed skin. Includes the main game and the season pass, delivering regular new content for 6 months featuring new story missions, more supervillains invading Gotham City, new legendary Batmobiles, advanced challenge maps, alternative character skins, and new drivable race tracks.